The official website for the anime Megalo Box has shown new information. Megalo Box preview of the first episode has just been released and it’s almost 2 minutes long. To be exact it is 1:58, and those are the first moments of the first episode that is about to get released. 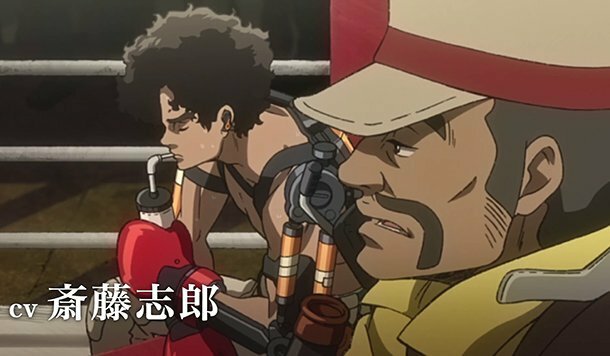 Megalo Box preview of the first episode contains a slight glimpse of a boxing scene. And our main character riding a bike in the desert. To be honest, it was nothing that hyped me. I was actually more like what? And that was all. There was really no emotion behind it, and I don’t know how to feel about this. Because some other anime previews have really hyped me up for it. Some even made me rewatch them. Let’s get back to business now. Tetsuya Chibas Ashita no Joe manga is getting a spin-off anime. The anime will be celebrating the 50th anniversary of the original manga. The anime will have an original story, and by the looks of it, they will be focusing on some sort of mechanical boxing. I ain’t sure how they will do this, I have seen Hajime no Ippo and loved it. One of the worthy ones to see definitely. If I would to rate it, I would definitely give it a solid 8/10. One thing that concerns me is how they will mix the mechanical arms with the boxing. I have not read the original manga, unfortunately. So if any commentator explains how the original manga was I will feature it in this article. This is definitely an anime worth checking out, and I think we should all be hyped for it. Once it airs I will try to watch it and make a review. I hope that the viewers along with our regular commentators join us in the wait. Tell me, what do you think about a countdown feature on this site? Would you like to see it? And do you think it’s a good idea? Although, we are also thinking about a wiki-knowledge base. We will try to work on both soon, any suggestions are appreciated and if you want to reach us don’t hesitate to cluck cluck n email or contact us over discord. Community Corner is something new and exciting. However, it is currently in open beta.